‘RACE FOR ALL’ ROUND THE ISLAND-2016. 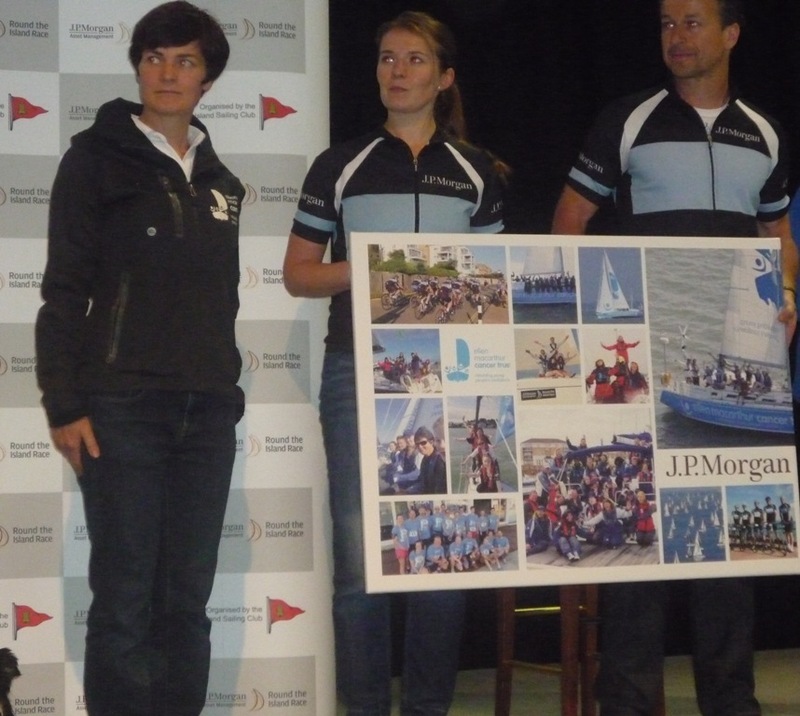 J.P. Morgan Asset Management has given its name as title sponsor to the iconic Round The Island (RTI) yacht race in a 12 year partnership with Island Sailing Club (ISC) and this was recognised in presentations at the annual Press Conference held prior to this year’s race. Jasper Berens from JPMAM has raced in each of the dozen races. 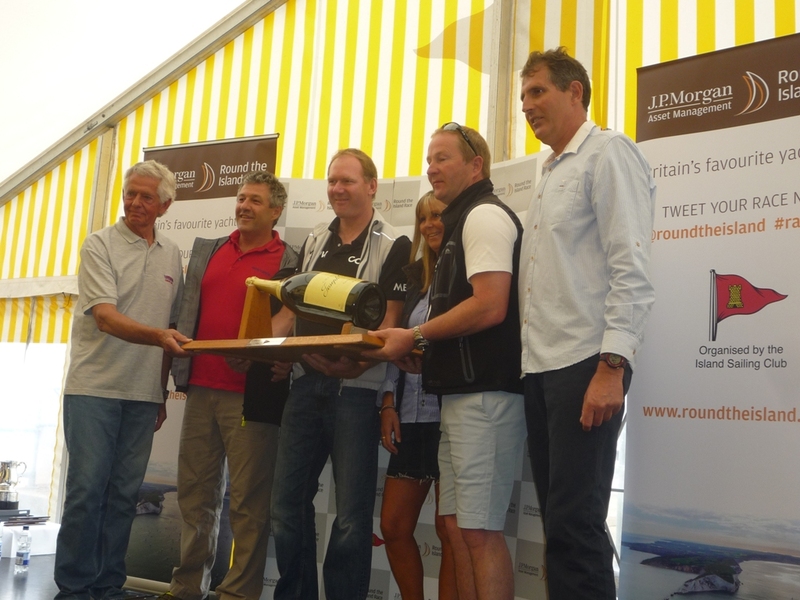 “We are immensely proud to have been the title sponsor of the Round the Island Race for 12 years. We simply love the race, and every year it has got better and better,” said Jasper Head of UK Business, at J.P. Morgan Asset Management. 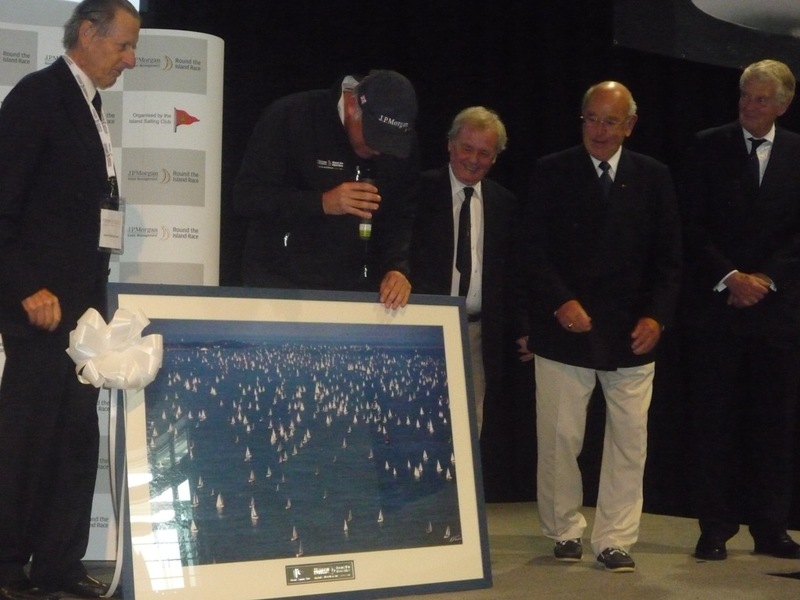 Jasper was presented with a gift from the ISC by Admiral, Robin Aisher and the Commodore and past Commodores of the ISC. Robin Aisher, Admiral of ISC first took part in the race, which was first held in 1931, in 1946 and in 1968 he gained an Olympic Bronze Medal in the 5.5metre sailing class. Over the last 12 years three commodores of ISC have overseen the event-Bill Pimlott, Rod Nicholls and currently Mark Wynter. Additionally, John Dudley was interim commodore between Rod and Mark. 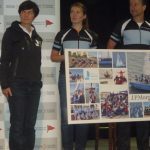 Dame Ellen MacArthur first took part in 1997 and her charity the Ellen MacArthur Cancer Trust (EMCT) has been the official charity of the race. Support of the charity has allowed some 200 youngsters recovering from cancer and leukaemia to take part over the last 10 years. Before this year’s race the Bournemouth office of JPMAM had raised a total of £226K for charity by cycling round the Island whilst the yachts were underway and this year they were cycling again. 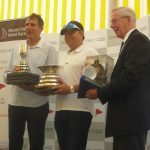 On the theme of charity, Team Jackie raised £65K last year and was awarded the Charity Trophy. Founder of this charity Mark Richardson decided to raise funds for the Keetch Hospice in Luton following the death of his wife Jackie from breast cancer. 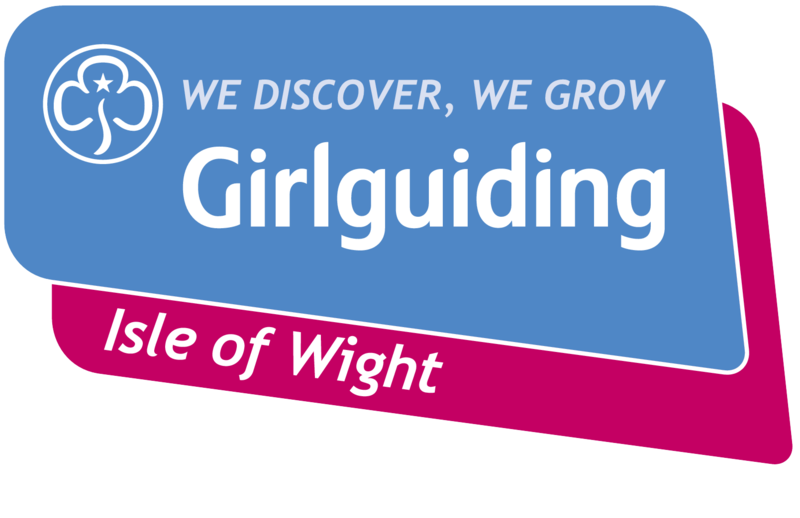 A total of 8 boats sail in aid of this charity with Mark’s daughters taking part as crew members. With weather predictions of strong winds gusting to 25knots at the Needles and St. Catherine’s Point there were some worries amongst crews before the start of the race. After some thought the Race Committee decided to not allow the smaller yachts to start the race. However, the strong winds suited the big fast MOD70s and this year’s J.P. Morgan Asset Management Round the Island will go down in history as a windy edition of the event. In a fast-paced and action-packed day that started at a later than usual 0830 the firing of the first gun was by HRH Prince Michael of Kent GCVO. 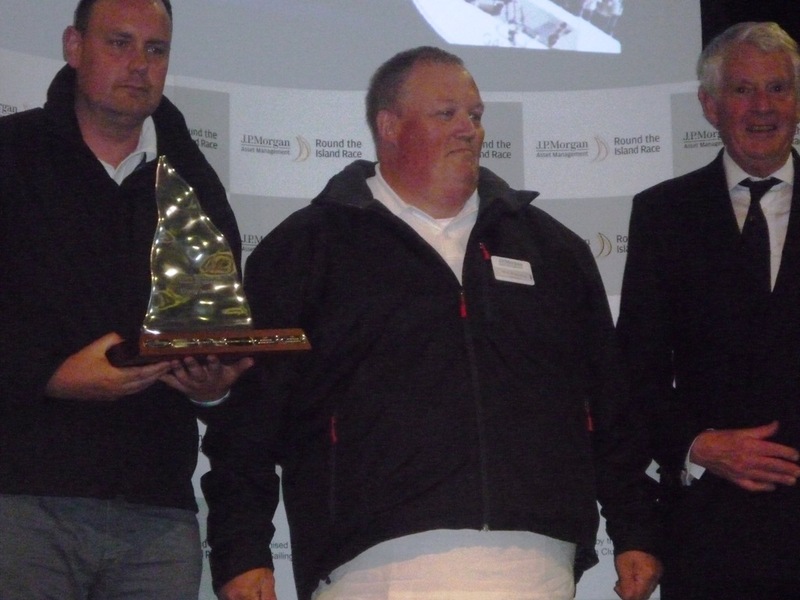 Shattering the multihull race record in the MOD70 trimaran Phaedo^ 3, in a time of 2 hours 23 minutes, 23 seconds were owner Lloyd Thornburg and skipper Brian Thompson and their crew. They broke the record by some 28minutes. 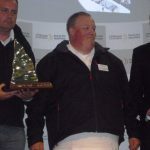 Brian, who was born in Southampton and lived for some time at Northwood on the Island, said after the race that he had first sailed the race with his parents when just 12 years old. Since then he has achieved many sailing records including nonstop round the World records. By about 16.00 the eastern Solent was starting to slowly fill up with many yachts on the final leg of their race. At this stage most of these were high-end racing yachts and the strong winds meant few of the family sailors in the bulk of the fleet were flying spinnakers, so for them it was not be a super fast race. To coincide with the race Kendall’s Fine Arts held an open evening. Amongst the exhibits were a number of pieces by Cowes artist Harriet Hue. Originally from Crawley, Harriet always had a love of art from a young age. Having achieved a first class degree in fine art she eventually realised her childhood dream of becoming an artist. Now living on the Isle of Wight, she said “My eyes have opened to a beautiful range of powerful colours.” Seascapes form part of her work with some painted on thick boards which add a depth to the piece. 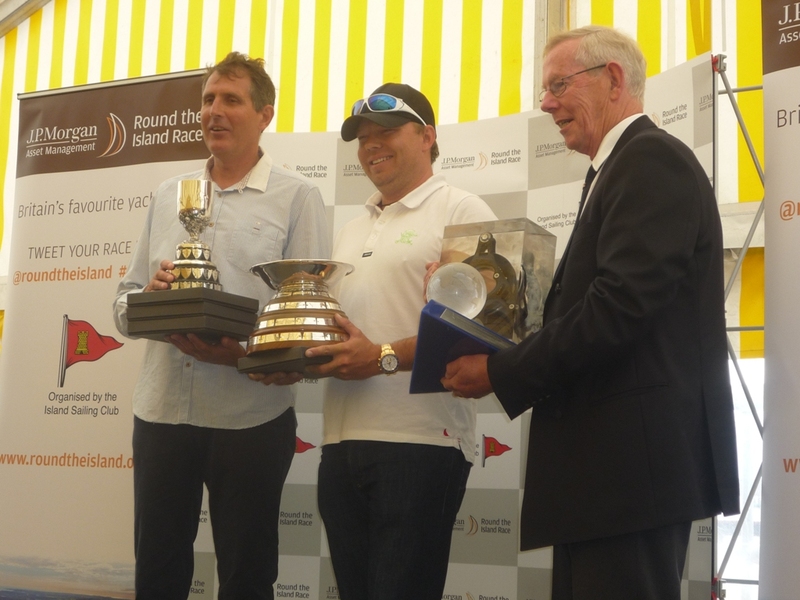 At the race prizegiving everyone was welcomed by the ISC Vice Commodore Peter Bingham and it was stated that at times the wind gusted to 50knots at St. Catherine’s. However, no helicopter was needed for rescues but a number of lifeboats were called from stations between Gosport and Poole including the RNLI boat stationed at Cowes. 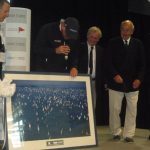 In their welcome and introduction to the Prizegiving Vice Commodore Peter Bingham and Race PRO Mike Peskett paid generous tributes to numerous ISC teams, many comprised of the 100 or so volunteers that work so hard for the sheer love of the Race, every year. Thanks also went to the Race sponsor and partners and finally the competitors who participated in this 12th and final year of what has been a fantastic partnership with JPMAM. 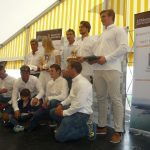 Dozens of trophies were awarded to the class winners and there were other special prizes covering all boats in this race which is billed as a ‘Race for All’. 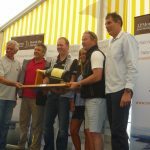 Supported by the ISC’s Flag Officers the VIP guest presenting the prizes was the record-breaking yachtsman Brian Thompson (and co-helm of Phaedo^3). Sailing Secretary for the ISC Chris Thomas got the Prizegiving off to a flying start and kept a good pace going throughout. 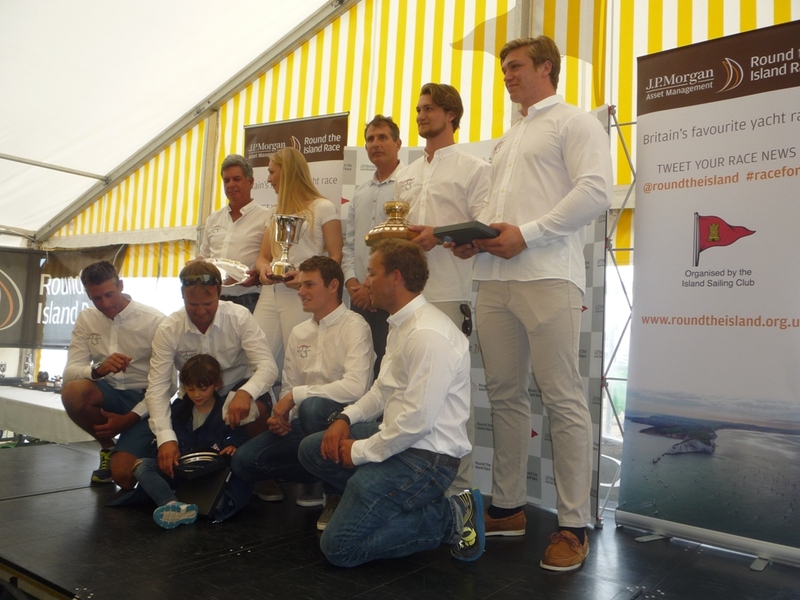 Considered the main prize The Gold Roman Bowl went to Bernard Langley’s TP52 Gladiator, which powered around the course to become the second monohull to finish and crossed the line in less than four and a half hours after the start.